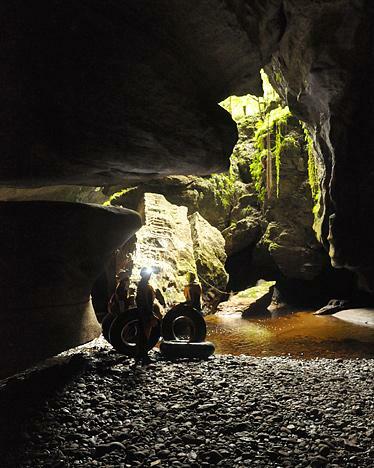 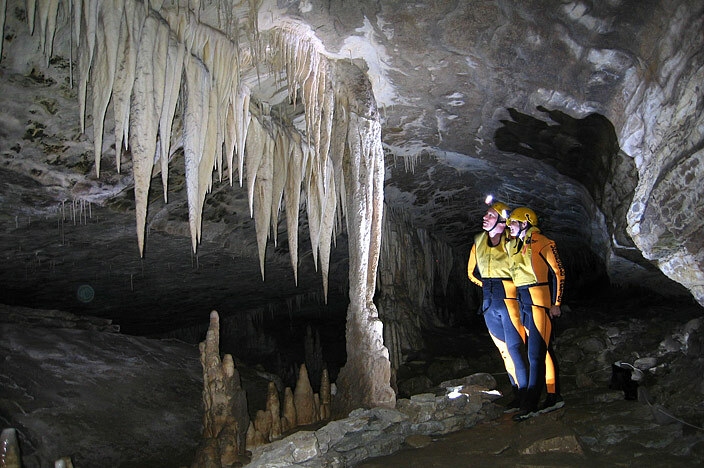 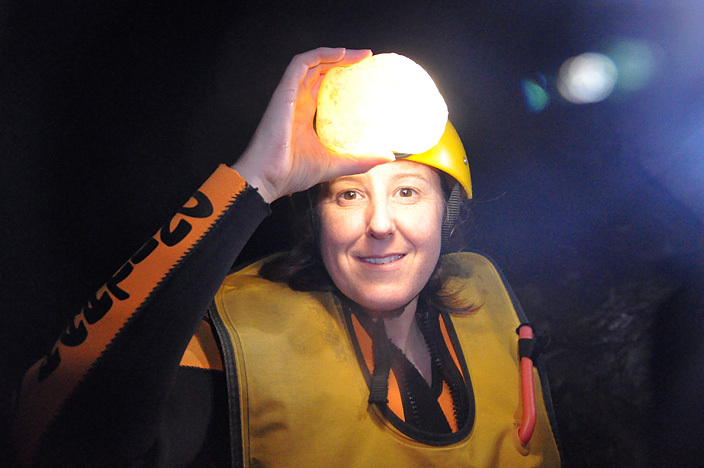 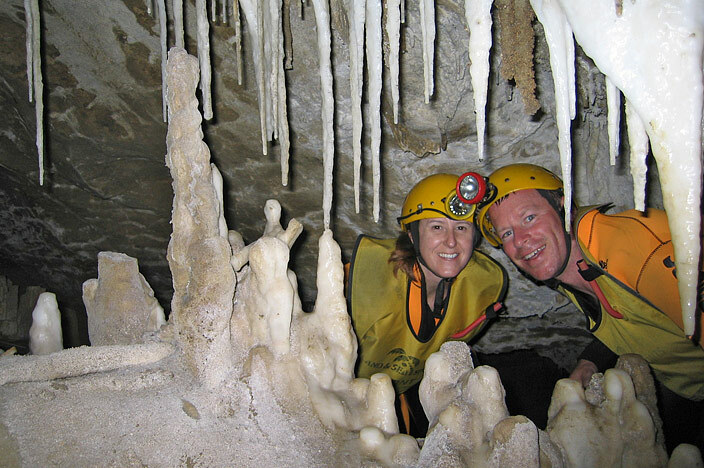 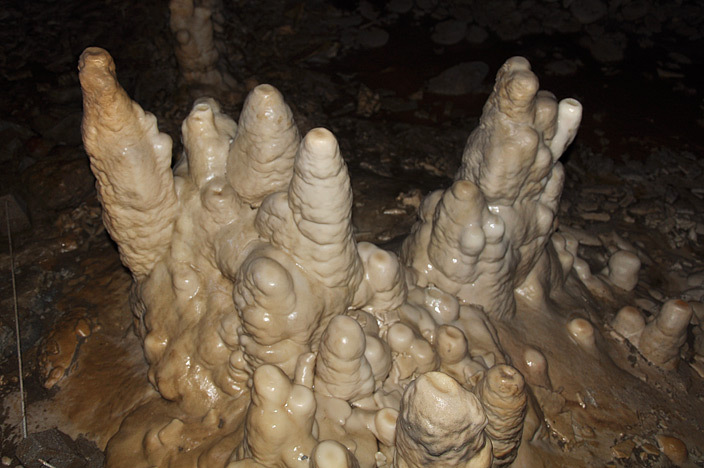 New Zealand is well known for its caves and glow worm tours. 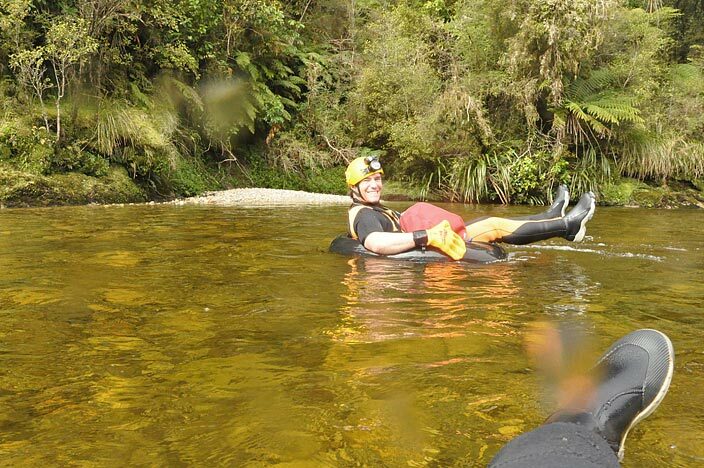 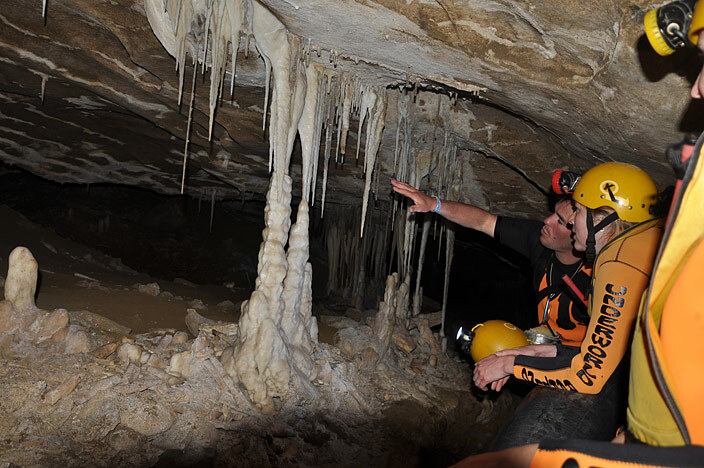 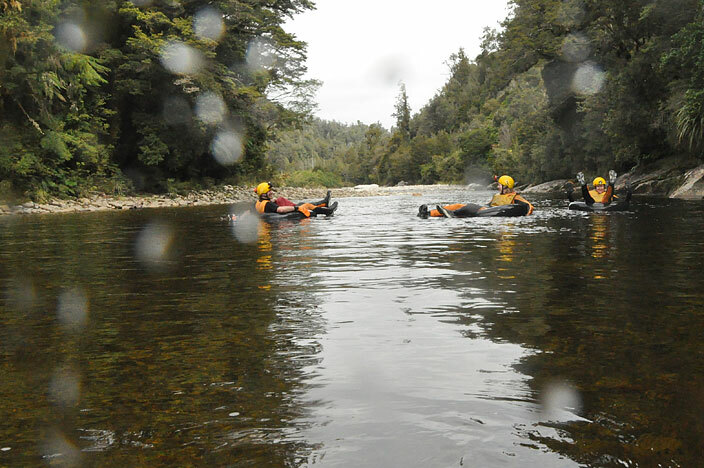 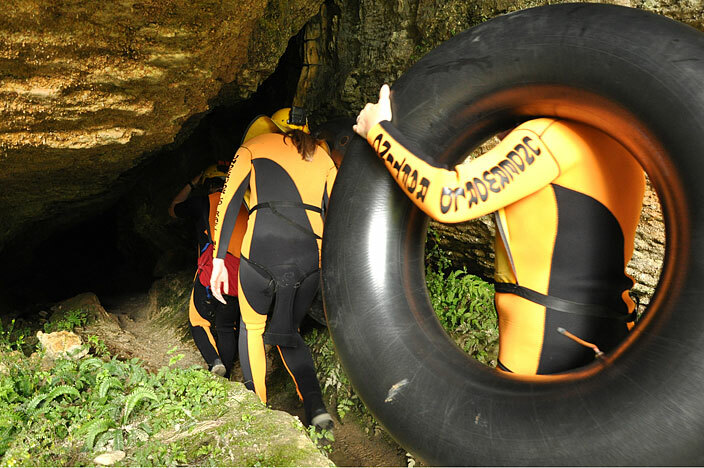 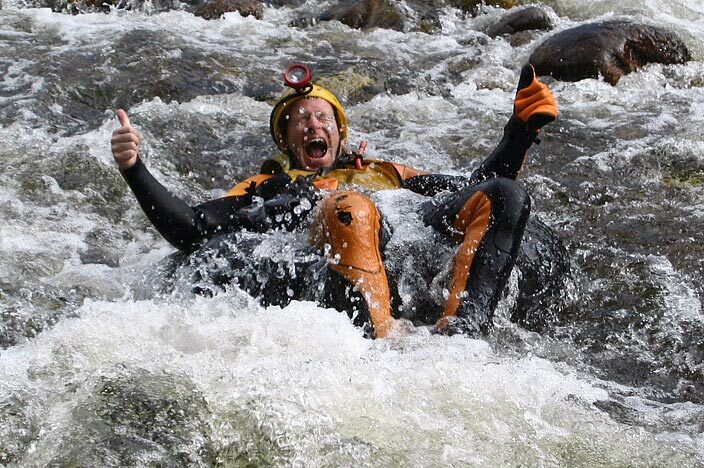 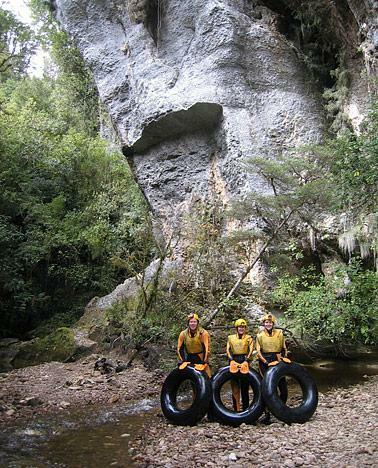 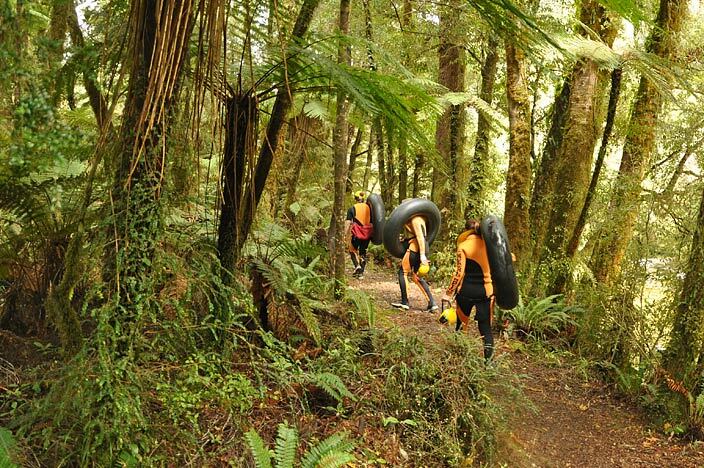 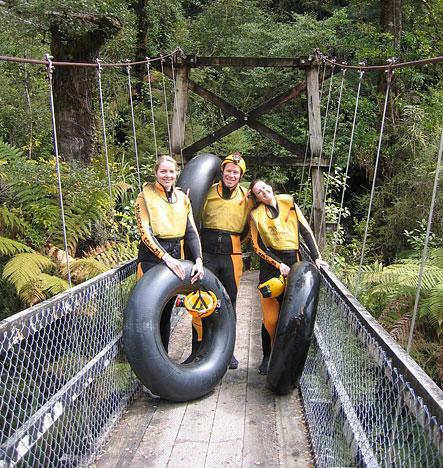 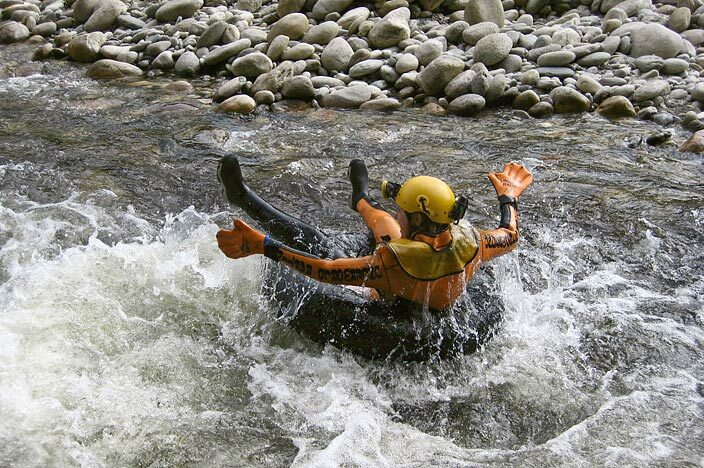 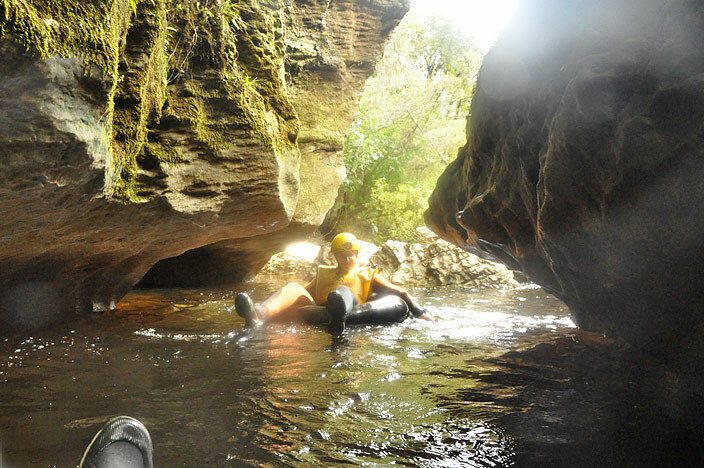 Waitomo on the North Island is perhaps the most well known, but a popular option whilst visiting the South Island is to do the cave rafting tour at Charleston, just south of Westport. 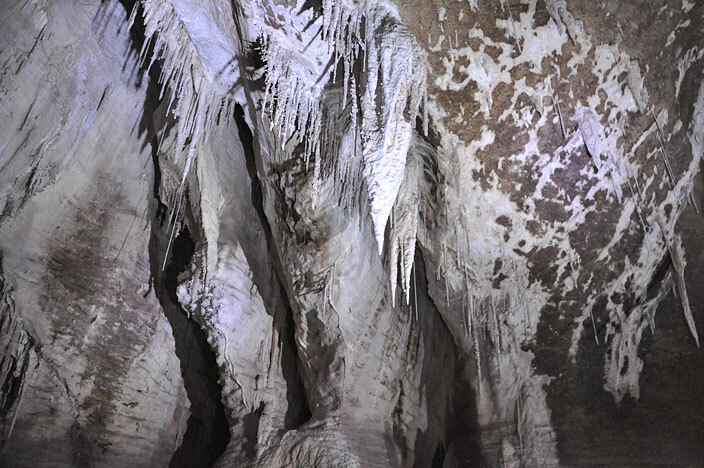 We started out with a short train ride and walk through the rain forest to the cave entrance. 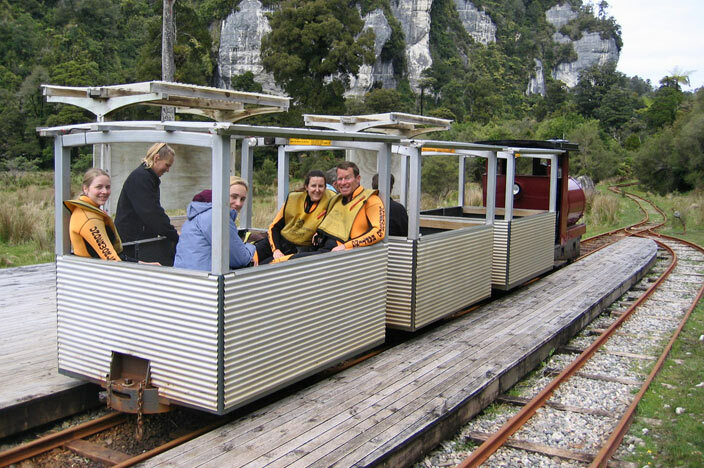 The train ride made us feel like miniature passengers on an episode of Thomas the Tank Engine, but it was quaint and the sluggish progress gave us more time to admire the forest and river views. 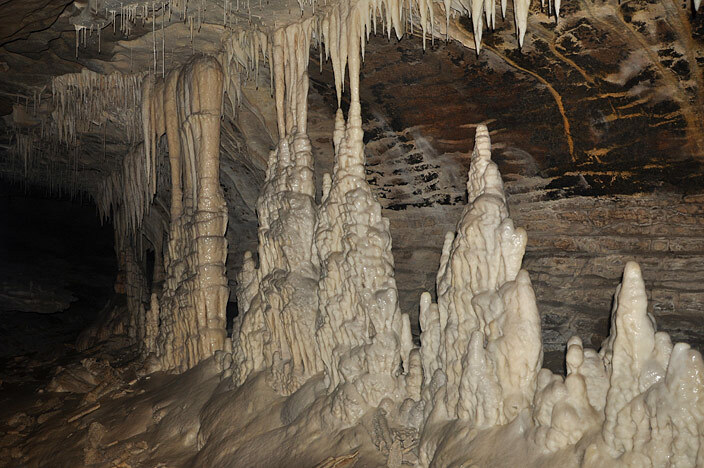 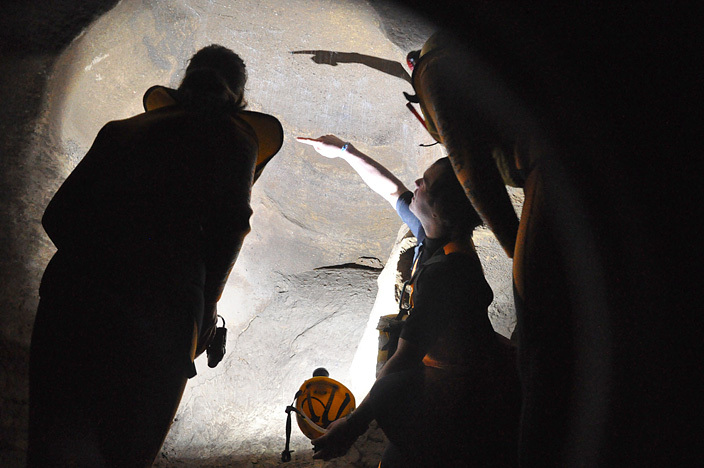 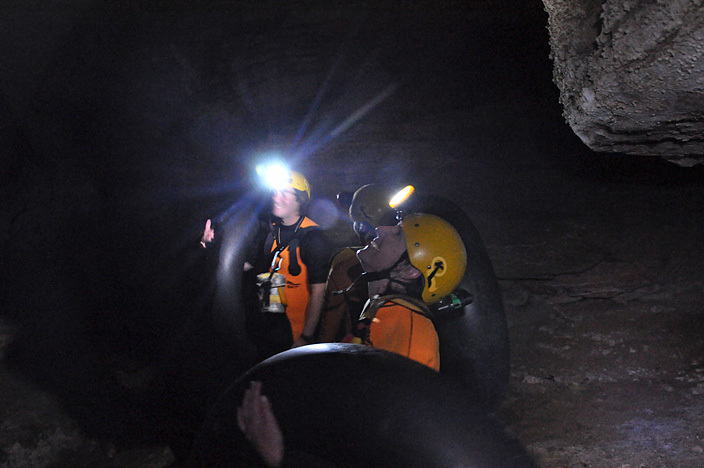 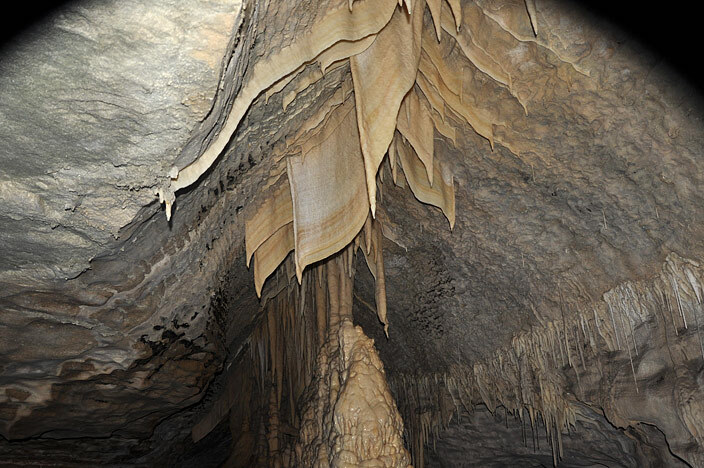 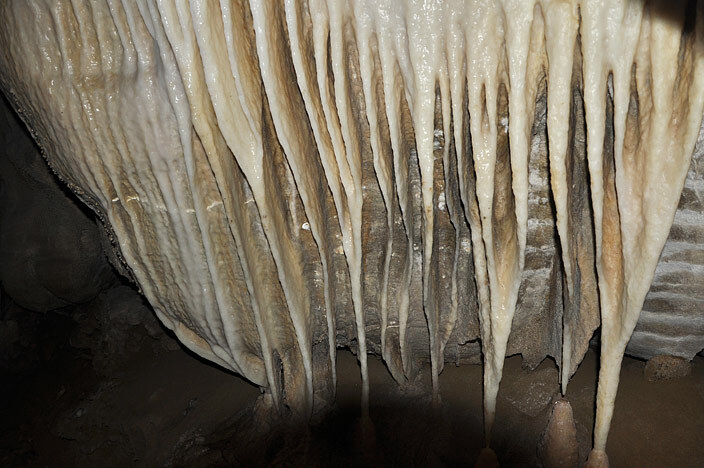 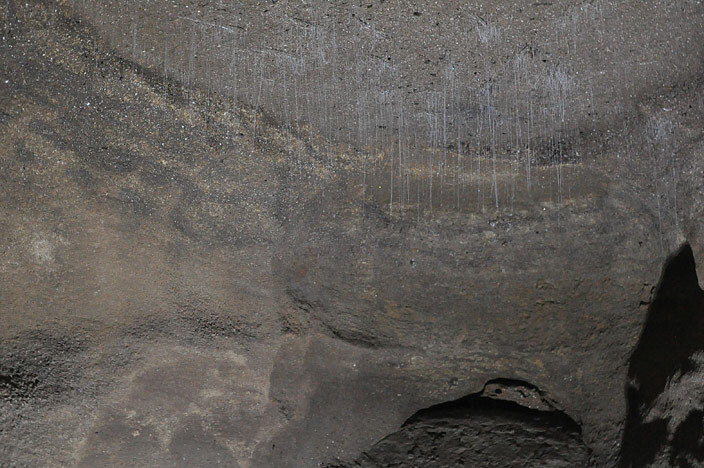 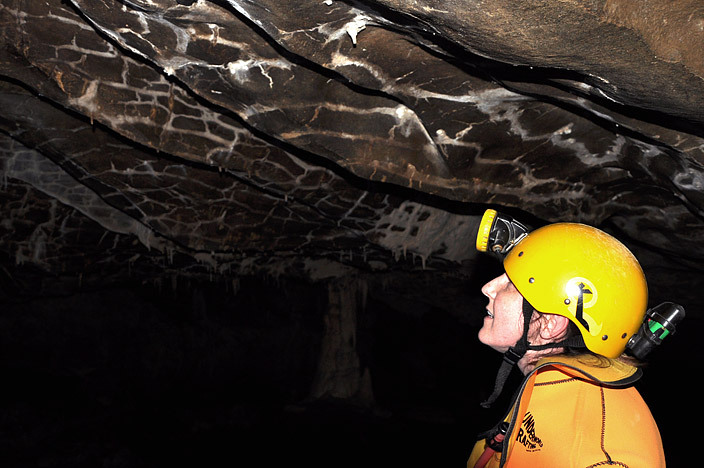 Once inside the caves, you get a great feeling of what it must be like for avid cavers and miners. 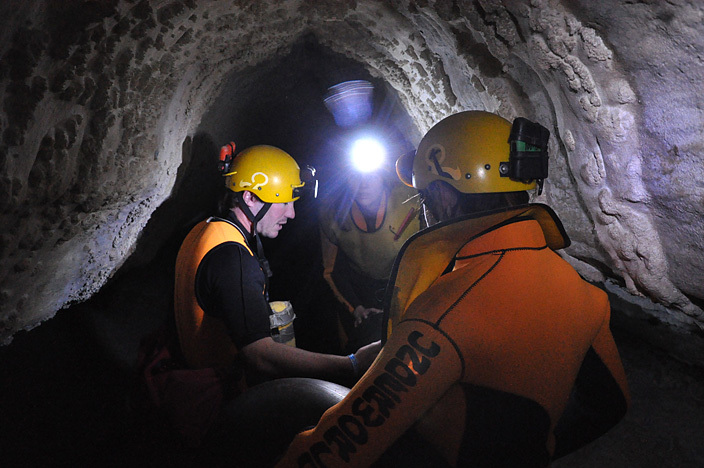 The hard helmet and head-torch puts you instantly into exploration mode and a turn of the head is needed to light up anything you want to get a good look at. 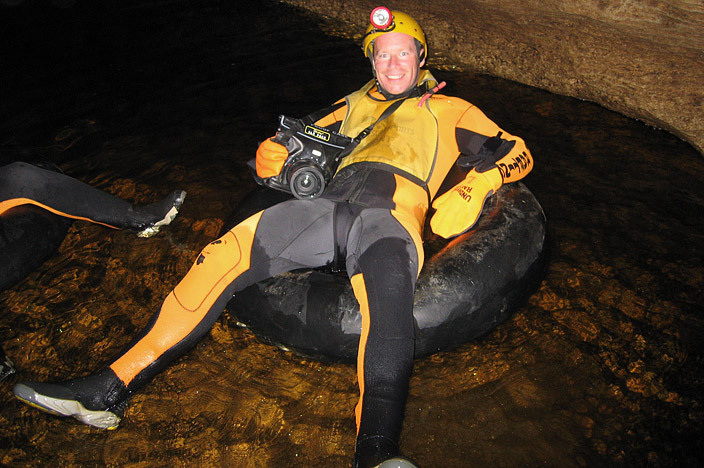 Our guide Howie was great at keeping the tour light-hearted, well-informed and camera-friendly. 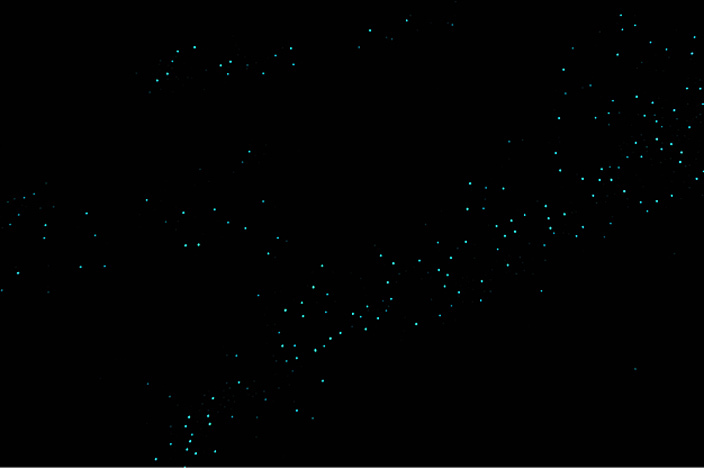 In fact, we had to make a special detour in order to get a slow shutter speed shot of the glow worms in the dark. 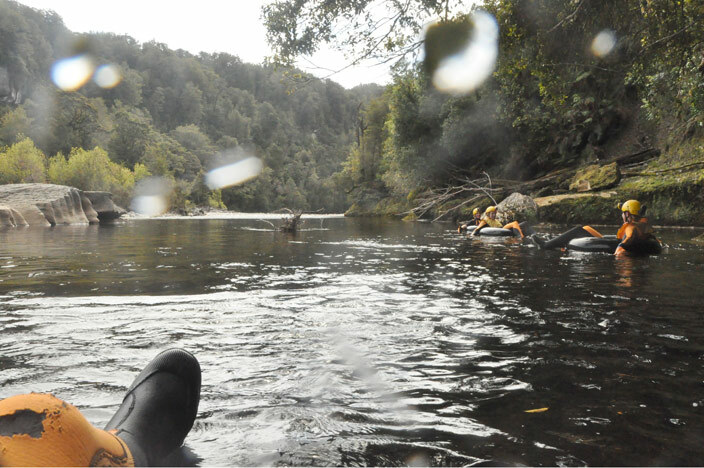 It would be impossible to get a shot of them whilst floating along on the big fat inner-tubes. 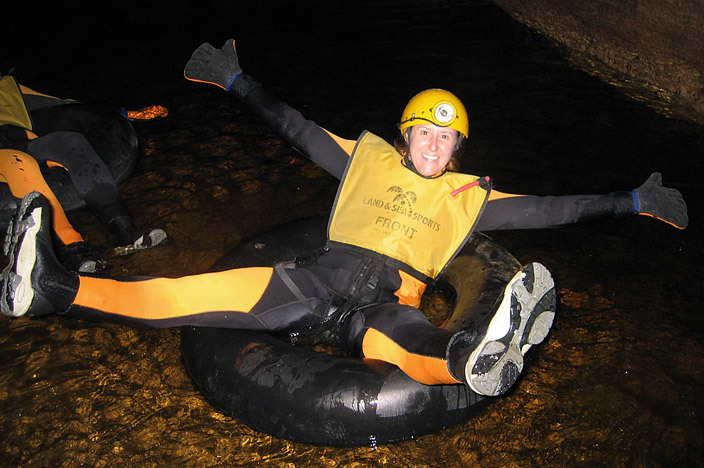 Cave rafting proved to be a great day out and much better to experience the glow worms floating beneath them on silent inner tubes than spluttering along with a boat-full of noisy tourists.